Cataracts are Caused by Air Pollution. Here is how you can avoid getting cataracts later on in life. There are just a few things that you should be doing for good eye health. Read these awesome simple tricks for great eye health. The doctors still say that no one knows what causes cataracts. 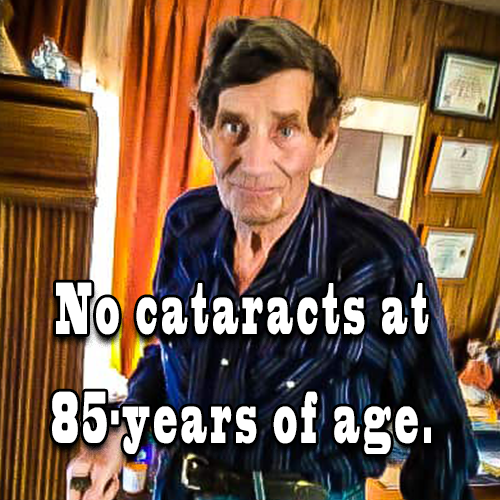 No cataracts at 85-years of age. Cigarette smoke, dust, air fresheners, and whatever else comes floating through the air, all add to the problem of dirty eyes. When dirty eyes are combined with a more sedate lifestyle it adds to the problem of CATARACTS. Old age along with less physical movement, again add to the problem. Our sealed and air conditioned houses are friendly to molds and bacteria. When I worked in a steel mill the air was so dirty that it was difficult to see at arm’s-length. A friend showed me how to wash my eyes with an eye-wash cup. 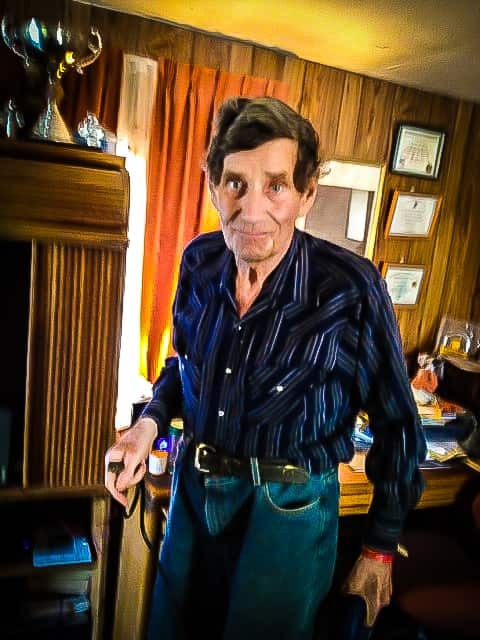 My Dad, who spent many years in the coal mines, washed his eyes with boric acid and water. It used to be available in the local drug stores. Normally, our eyes are self-cleaned with tears; and with the aid of various face and eye muscles. Plenty of blinking takes place when our eyes are constantly adjusting and focusing. The tears are flushed down the throat. Now we spend many hours without enough head, neck, and shoulder movement to aid our eyes in the task of self-cleaning. We need to spend a few minutes each day at the task of keeping our eyes clean. When washing your face, splash plenty of water onto and into your eyes. This task will solve many of your dry-eye problems. The important task of massaging the eyes is the gist of another paper.